Ever asked yourself ‘Why write a business plan?‘ why not just get started and figure things out along the way? A poor or non-existent business plan is the number 1 reason why business owners abandon ship. However, a solid plan is not enough to inspire most people when challenges arise. This is why it’s important to have a Vision Statement so you know where you want to take your business. Once you’re clear on the vision you have for your business, you’ll need a roadmap. A business model is a perfect way to get clear on the essential areas of your business, a simple way to create a structure that works for you and your ideal clients. Whether you have a formalised written business plan or not, it’s important for you to understand how your business is functioning in the 10 areas outlined in my book Plan it Now! 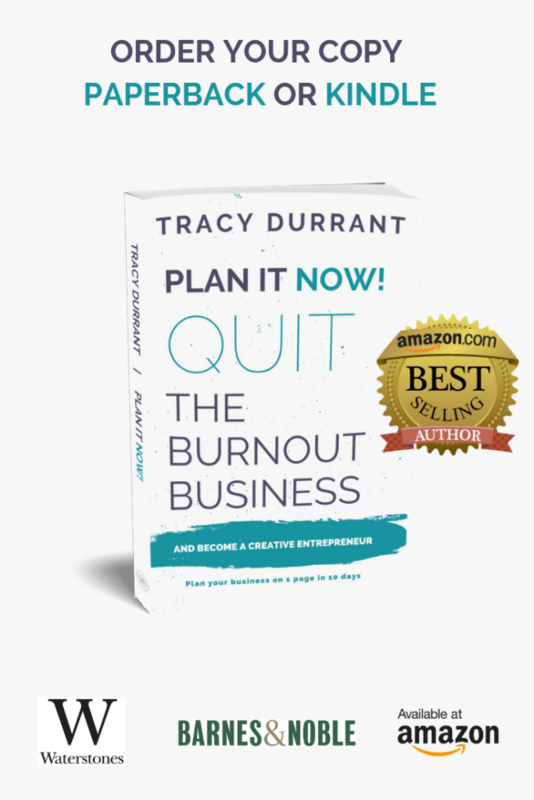 Quit the Burnout Business and Become a Creative Entrepreneur: Plan your Creative Business on 1 Page in 10 days click here to buy now from Amazon. August 24, 2017 April 23, 2019 TracyCoaching for Creatives, How to write a Business Planbusiness model, business model canvas, business quiz, Why write a business plan? Next Post Business cycle stages: Is your business approaching Summer or Winter?